Zarif called on the world to carry out its “legal and moral responsibility” toward the victims and their families and facilitate the punishment of the perpetrators of such inhumane acts. 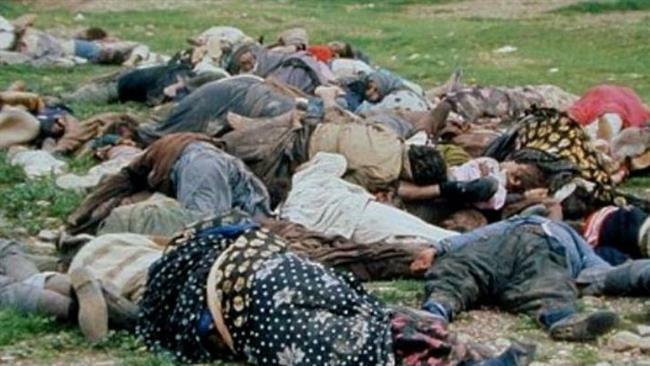 Iran has called on the international community to prosecute those responsible for supplying former Iraqi dictator Saddam Hussein with chemical weapons which were used during the chemical bombardment of Iran’s Sardasht during the Iraq–Iran War. Iranian Foreign Minister Mohammad Javad Zarif made the call on Sunday, which coincided with the 28th anniversary of 1987 chemical bombardment of the northwestern city of Sardasht, which killed over 100 civilians and injured hundreds more. Zarif called on the international community to carry out their “legal and moral responsibility” towards the victims and their families and facilitate the punishment of the perpetrators and supporters of such inhumane acts. As an active member of the Organization for the Prohibition of Chemical Weapons, the Islamic Republic of Iran, along with other member states, will keep on trying for the “total annihilation” of all chemical weapons in the world, Zarif said. He added that Iran is one of the main victims of chemical weapons. Sardasht was the third populated city in the world, after Japan’s Hiroshima and Nagasaki, to be deliberately targeted with weapons of mass destruction. It was also the first town in the world to be attacked with poisonous gas. The actual death toll is far greater than announced. Nearly 5,000 residents of the town, which had a population of 20,000 at the time of the attack, are still suffering from serious respiratory and skin ailments and disorders. Iraq once possessed a huge arsenal of chemical weapons, the production of which was partly facilitated by exports of chemicals from the United States and other Western countries. There is no doubt that Iraq acquired the technology and the materials to develop chemical weapons from the US and a number of Western countries, which not only equipped the Iraqi regime with the tech but also supported it financially.